Price reduced and won't last at this price! Beautifully updated home in desirable Park Village! Light & bright open floor plan w/vaulted ceilings, beautiful marble entryway, brand new carpet & new AC. Upgraded granite counters, prep island, large eat in breakfast nook, new SS appliances including brand new double oven & microwave. Convenient downstairs bedroom & full bath downstairs. Low traffic street, walk to PV Elem & nearby park/canyon. No HOA & low Mello Roos expires this year. Top PUSD!, Enjoy the large spacious master suite, upgraded master bath with a new elegant frameless shower door, decorative mirrors and new LED vanity lighting, & large walk in closet. Three additional good sized bedrooms and an additional bathroom with dual sinks and separate shower/toilet area complete the upstairs layout. Cozy family room w/stacked stone fireplace. Roomy private backyard w BBQ & low maintenance artificial turf. 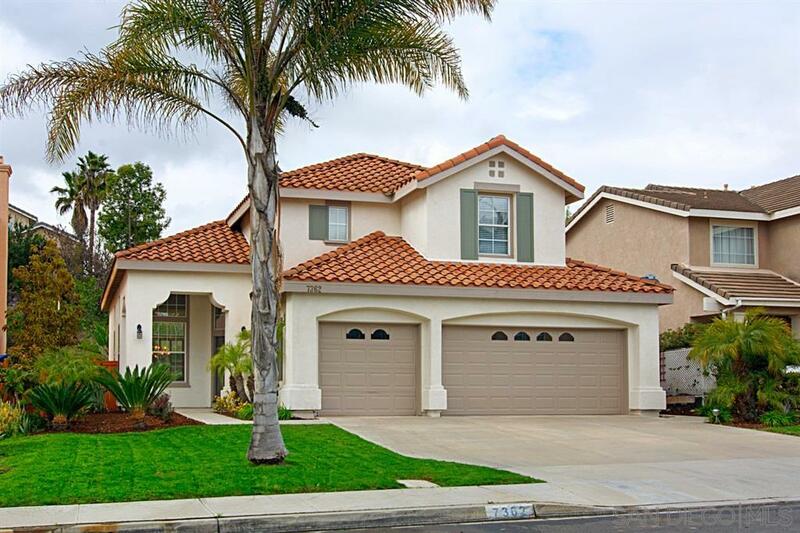 Centrally located in San Diego County, the Park Village neighborhood of Rancho Penasquitos offers a private enclave of charming family homes, among some of the highest rated schools in the district. Adjacent to the Los Penasquitos Canyon Preserve, you will enjoy miles of hiking and biking trails, recreation facility featuring 12 tennis courts, soccer/baseball fields, rec center hosting basketball leagues, classes and more! Top PUSD schools include Park Village Elementary, Mesa Verde MS and Westview HS.